T-Mobile’s Q2 2018 earnings are in, and it looks like T-Mo extended its streak of quarters with more than one million customer adds. T-Mobile says that the second quarter of 2018 was its best Q2 ever, adding 1.58 million customers. That makes Q2 2018 the 21st straight quarter that T-Mo had more than 1 million net adds. That 1.58 million adds includes 1.02 million postpaid customers and 91,000 prepaid customers. When it comes to churn, T-Mo improved both postpaid and prepaid churn compared to Q2 2017. Postpaid churn fell from 1.07 percentin Q2 2017 to 0.95 percent in Q2 2018, while prepaid churn dropped from 3.94 percent to 3.81 percent year over year. At the end of Q2 2018, T-Mobile says that it had a total of 75.62 million customers on its network. T-Mobile’s service revenues grew 7 percent YoY to finish at $7.93 billion in Q2 2018, while total revenues grew 4 percent to finish at $10.57 billion for the quarter. T-Mo’s net income grew, too, going from $581 million in Q2 2017 to $782 million in Q2 2018. Today’s earnings report also includes an update on T-Mobile’s 4G LTE network. 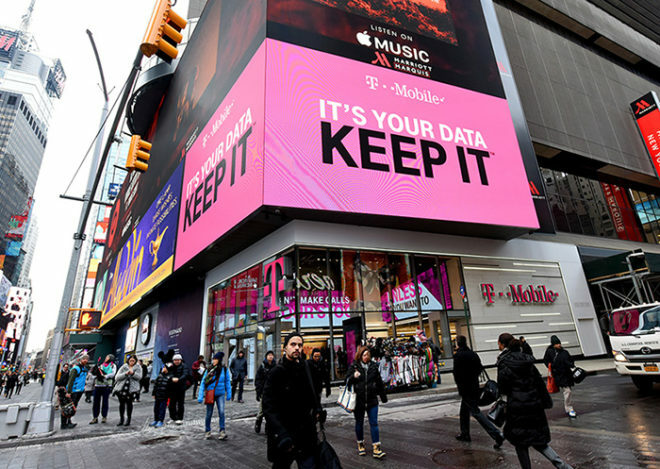 T-Mo says that its 4G LTE network covered 323 million people at the end of Q2 2018, with the goal of covering 325 million by the end of 2018. T-Mobile also shared some info on its 600MHz plans, saying that it owned a nationwide average of 31MHz of 600MHz low-band spectrum covering 328 million people at the end of Q2 2018. T-Mo plans to clear spectrum covering 130 million people by the end of 2018, with that number reaching 260 million by the end of 2019. T-Mo also reiterated today that it plans to deploy 5G coverage using 600MHz and mmWave spectrum and that it will bring 5G to 30 U.S. cities in 2018. It plans to use 4G and 5G bandwidths simultaneously and says that this network will be ready for the launch of the first 5G smartphones in 2019. As usual, T-Mobile will hold a conference call to discuss its Q2 2018 earnings this afternoon. I’ll be listening in and will update this post with any interesting details that John Legere and the other T-Mobile execs have to share. If they can’t help their customers now how are they going to help Sprint Customers. Why can’t they help customers now? Seems they are doing fine at it. I would like to know as well. I have T-Mo and always get helped when I need help and my service is great. T-Mobile is number one in my area, no need to go anywhere. I do not think they should merge with Sprint and open up that can of worms. What are do u live in? I wonder whose customers they are stealing from. Probably Sprint, though there is still some organic growth left in cell phones and tablets. I would expect a growth spurt with 5g as homeowners ditch cable Internet in favor of a 5g hub. Dumped wired internet when BingeOn came out. I have been able to do it for awhile now and then. I get 10 gigs high speed wifi/tether as part of some promotion. Problem is some places like the place where I work now, at my work apartment there is no service – not that anyone else gets service – it is a dead zone for some reason, so I need wifi. My family went Tmo wifi only for streaming and computers and lasted two weeks before getting wifi for the home – I guess if I were there I would have been able to help them through longer. Family goes through about 200 gigs a month and our phones would only provide 50 gigs of wifi hotspot at high speed total. Where I work right now, cellular works great but the ATT wifi is slow at 0.7 Mbps. But next year job will be moving to an office complex with very poor cellular coverage. I will need to use wifi there but it should be fast since Comcast is the provider. At home there is no wired provider so it is cellular or nothing. Legere seemed very proud of the number of customers obtained from AT$T when he was in D.C.
Tell me again why they have to merge with Sprint?? You said it perfectly!! There are only two wireless competitors in the US. 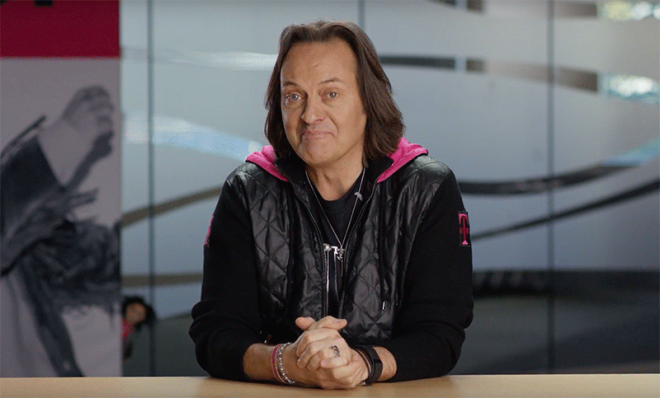 Merging Sprint and T-Mobile will create a third competitor. The way I read this quarterly, they are doing a very effective job on AT$T and Verizon already. I wonder when 600mhz will he deployed in Houston, I live in Baytown. . .
There’s at least one channel remaining on air in Houston until January 2020 (Phase 7). This is worst case. Many channels have accelerated their plans to relocate. Hopefully it’s sooner for you. Your comment probably includes Baytown (77520) right? Actually, from downtown Houston eastward all clears by 11/30/2018. So Baytown would be able to get it sooner. T-Mo May wait for Houston to clear though. Your very resourceful and knowledgeable sir, thank you very much!!! So, 1.02 millions (prepaid) + 91,000 (postpaid) is NOT equal 1.58 millions! It’s 1.11 millions. Missing 469,000 new subscribers. Hmmmm…. 1.02 million post-paid and 91,000 BRANDED prepaid subscribers. The rest would be wholesale customers. They’re adding customers without giving away the farm (Tuesdays, free lines, etc) The VALUE in their network is starting to show. So you know that anything new will not include ANY of those perks.